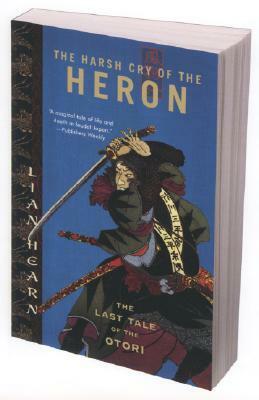 The Harsh Cry of the Heron is the fourth book in the Tales of the Otori series by Lian Hearn. Don't miss the related series, The Tale of Shikanoko. A dazzling epic of warfare and sacrifice, passionate revenge, treacherous betrayal, and unconquerable love, The Harsh Cry of the Heron takes the storytelling achievement of Lian Hearn's fantastic medieval Japanese world to startling new heights of drama and action. Fifteen years of peace and prosperity under the rule of Lord Otori Takeo and his wife Kaede is threatened by a rogue network of assassins, the resurgence of old rivalries, the arrival of foreigners bearing new weapons and religion, and an unfulfilled prophecy that Lord Takeo will die at the hand of a member of his own family. The Harsh Cry of the Heron is the rich and stirring finale to a series whose imaginative vision has enthralled millions of readers worldwide, and an extraordinary novel that stands as a thrilling achievement in its own right.